Do you work for Microsoft Access? 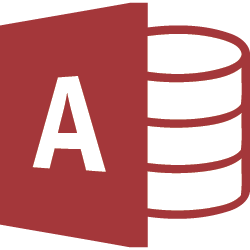 Microsoft Access is the database software that provides templates to help you get started and newly added web databases that make it easier to track, report, and share data with others. Learning about Microsoft Access? We can help. "One of the best tool for data creation "
I recommend acces for all those small and medium companies so that they can more easily create their data and also for the normal people so that they have a good organization. "A good tool for data management and database creation"
is a basic manager, which is excellent when you are starting in the world of databases, it is easy to manage and comprencion, ideal for small databases and to be a starting point for students, it offers many tools so that the base of data is performed in an excellent way. on the other hand it is easy to install and access, since it is integrated into the Microsoft Office package, this being a point in its favor, since it is found on most desktop and laptop computers. It has a limited storage capacity, which makes it advisable only for the registration and control of a small data, removing this possibility that it is used in systems that require excessive data handling, leaving it as a manager more than anything else. for academically level learning. you should learn about all of its tools since this manager offers more variety of options to use than the users usually have in accounts, giving erroneously discarding it quickly when you want to choose a database manager for the storage of your information, fearing in the future to have to migrate to another manager. It has been used for small projects, among them the staff of interns and the inactive staff, since being a small company, there are not so many records in those areas. On the other hand this allows us to access external data from it as from excel. "the best tool to manage your databases "
The connectivity with the project is very easy and anyone with some knowledge of database will have no issue working with Microsoft Access. It is very simple to install the software and no hard and fast rules applied to install. Managing data using this software, importing files is very easy and quick. When there is huge amount of data, it has limitations while searching data. It s ideal for local use but not for any corporate organisation at higher level. Changing a column in the database is a cumbersome process as it takes too long to change fields. If some one is looking for a cost effective database manager, this is the perfect software you should install. It also takes less space in computer. Perfect for small scale industries. It is very simple and easy to update, open and delete data from Microsoft Access. We use it for our local database to add employee details and mark attendance. It makes the process easy and very useful. "Programa básico de Base de Datos"
Microsoft Access es una herramienta de oficina que significa que es compatible con otra solución de oficina. Es más rápido que SQL y Oracle. y muy simple de usar. El sistema que tiene de consultas no es muy complejo, además cuenta con un asistente que nos ayuda a crear cualquier consulta en menos de 1 minuto. En pocos minutos puede crear un formulario simple en lugar de utilizar la ruta de información. En la gestión de proyectos, Excel es el software más importante, pero algunas veces cuando tenemos datos grandes, Excel no es una herramienta más responsable y necesitamos un programa que tenga acceso para crear nuestra base de datos. Microsoft Access no es una herramienta con suficiente potencia de base de datos, específicamente en el lado del servidor. Y publicar para web y no es compatible con Share Point. Es un programa simple para el trabajo local, o para gestionar un pequeño negocio. En la empresa, se requiere importar continuamente los datos para llevar a cabo el análisis de datos correspondiente para la toma de decisiones, y el acceso ofrece una opción fácil de usar y agradable que la importa sin dificultad. Migración de libros de Excel masivos (con docenas o cientos de hojas difíciles y que requieren mucho tiempo para mantenerlas, una para cada proyecto o informe, con fusión manual de copias para cada usuario) a bases de datos relacionales multiusuario de alto rendimiento. Esto nos permitió usarlo más allá de la PC con Windows, escalando a cientos de usuarios simultáneos desde navegadores web, dispositivos móviles, Mac, iPhone, iPad, Android, tabletas y otros dispositivos, todo sin depender de Access Web Apps (AWA) en desuso. se puede convertir automáticamente a la base de datos de acceso con todas las funciones de la nube / web / móvil que, a diferencia de AWA o PowerApps, incluso admite el uso de secuencias de comandos VBA potentes y el uso para la interactividad y la automatización. He ayudado a los clientes a migrar libros de Excel migran a bases de datos de Access cuando se enfrentan a libros de trabajo masivos con (docenas o incluso cien hojas) muchos procesos tediosos, propensos a errores, manuales de copiar, pegar y editar que involucran la fusión de muchas copias y un dolor de cabeza al tener para repetir las ediciones de fórmulas complejas distribuidas en docenas de filas en docenas de pestañas en docenas de copias de libros de trabajo. The interface of Access, Microsoft Office Fluent, is designed so that any user without specialized knowledge of databases, can work professionally. It is a basic database software, easy to install, because we only have to install it, it meets the minimum requirements for our programming projects, it has a simple user interface to understand and manipulate and an easy connection to our projects. It is of little storage capacity and little security level of the records, since it is one of the simplest database managers to start in the world of programming. it has limitations in the processing of the searches and I do not have functions to program stored procedures to generate parameterized reports, besides that if you want to use it for corporate environments, it does not work because of its low stability. "THE PROGRAM YOU NEED TO CREATE MICROSOFT ACCESS DATABASES. " I really like this application because I can work in it professionally, and I can manage my data in an appropriate and correct way, it is also very easy to install and use. I can import my documents from other files and handle them with Access very easily and quickly. It is also possible to attach a document, an image or a spreadsheet to any application registry. For me it is ideal because I do not manage a lot of databases, but for users that handle a large amount of data, they have limitations in storage. I recommend it to any person or companies that wish to save their data in the form of databases, anyone can create a database with Access. You can manage all the information from a single database file. Without having great knowledge in databases, you can develop, manage and keep track of your information. It has solved many problems in my work amito as it facilitates the administration of the databases that I use in my work such as the student lists with their personal data and the lists of grades. It has generated many benefits because it has a fairly high storage level, to store any type of information. He provides me with forms for the preparation of databases. . The forms and reports are already designed for convenience, but you can customize them to suit your business needs. I love that Microsoft Access allows you to do so many things! If you know the correct codes and algorithms, you can basically operate your business using Access. The ability to create, manage, and record lists has helped our business tremendously! Without extensive education and lessons, it can be VERY difficult to navigate and operate Microsoft Access. Without taking Access specific classes, this program can prove to be very stressful to operate and create the project you are trying to create, thus resulting in a very frustrated operator. My best recommendation to any one who wants to use Microsoft Access would be to do as much research you can do to learn the program. You can use Microsoft Access to solve almost any issue you have whether is it business related or personal if you know how to operate the program. I highly recommend purchasing an "Access for Dummies" book or something similar. I took a Microsoft Office class in college and the small portion we focused on Microsoft Access definitely helped, but I find myself referring back to my school book quite often. We are using Access tom manage our tax returns that come in and allow our associates to pull the returns that need to be prepared. Microsoft Access has allowed us to combine the work from two of our offices so that the returns are prepared and out the door much quicker than if only one office was working on their own. "Software for the elaboration of database"
The best thing about using access is that it is a tool with a very simple and dynamic menu system that allows the creation of simple and complex databases, thus helping the company to carry out timely and accurate information. "Reliable but old school systems"
It can store a large amount of information and in all different categories, we run a large amount of our system just through Access. Sending out confirmations and information to the relevant people at the end of every day works very effectively. It is also reliable and doesn't miss information ever really. The loading can be very slow, you have to close all the tabs for it to update after changes have been made. The search system doesn't always work. It can run very slowly. The whole system seems quite old school tbh and there are other systems which I would recommend over this. Be patient and try not to over complicate things. We use this for all data storage mainly of clients and our board, for marketing purposes, for our sales targets/monitoring, for invoicing and quotes, for sending over information at the end of every day, monitoring and managing a large number of diaries. "Only Good If You Are A Super User"
That I could build and use a simplistic database. When I needed something fast. It was easy to update, and simple to access from my computer. Oh, trying to update the entire system was a nightmare for me. If I wanted to change the database look and feel, I would go into this cause and effect. If I wanted to add a new field or remove a field, it would almost always be a long process. I would spend hours trying to figure out how to update a table and how it would link up to the other tables. If you have a person on your team that has been a user and builder for years, great. If not, there are simpler programs on the market. Really just a place I could keep my prospect list and update. Whenever I needed to add people, it would work great and update all of the tables. It was simple to open, update and read. However, it was very clunky to update across the board. I usually would hire someone to do the design implementation when needed. After a few more painstaking years, I realized that there were better online services that I could use. I decided to stick to online programs that focused on user-friendliness over brand loyalty. It just made more sense for us to go with a program that was easier to use and had a better support mechanism in place. Being a basic database manager, this does not allow the storage of very much information as it does not have enough capacity to support it. It is excellent, above all to learn what is the management of databases, perfect to explain in universities or institutions, it is important to see the characteristics of this manager when you want to use it to develop a larger scale project. it is currently used to manage the process of registration and control of the staff of interns in the company, storing there basic information such as personal data, data of the university institution where it comes from, among others. "Excellent for the organization of elements, information and store data in an organized manner." Something that does not generate much satisfaction when using this software is that it has very little data storage space, that's why its highest performance is based on the generation of departmental databases, it is also not very secure in account with a lot of security. It would be more satisfactory to use and implement if you open a little more space to save the databases, which could store more information, have a little more capacity to store information and be a bit more secure the use of this software. In addition to everything would be a good option that could add more security before the edition since the databases that users share will be more durable and more accurate. If all this is implemented, the software would take more commercial value from the world market. It is very useful to use data from Excel documents, this greatly facilitates data loading, its interface is easy to understand. I like how it is a simple to use database which reduces dependence on coding. It is easy to use and as a Microsoft Product is compatable with Microsoft Excel. I learned that the software has several templates online. The simplicity was in it's ability to integrate multiple solutions for all the problems I had. Allows the creation of databases, to add information and make queries to locate the precise data we need. For large volumes of data it sometimes seems to collapse and must be restarted. Besides that, like all the programs in the Office package a license must be purchased to be able to use it outside of its trial version. The lack of features and updates from Microsoft. It has been on the lower end of Microsoft's new features, unlike Excel, Word, and PowerPoint Microsoft products, Auto-Save and other features like search command are yet to be implemented into the menu bars. It's a helpful tool in administrative work. This work platform is much more stable than other payment software of the same style, I recommend using assistance or help the user to solve their doubts, this works very well. I would recommend Access to anyone wanting to compile data for a report with more options and without having to create a new report like you would while using Excel. Anyone from my work team can work with this tool without much difficulty, the work obtained is of quality and the results are always the expected, constituting benefits for the organization. Has allowed me to satisfactorily perform the academic practices corresponding to the creation and administration of databases, it offers a pleasant interface and a lot of versatility when it comes to formatting the file. to start working with databases is perfect because it is easy to understand and it does not take much prior knowledge to create a functional database. "Takes a learning curve from modern software use..."
I like what Microsoft Access is able to do - including save an incredible amount of time with data interpretation and result summaries based on specified excel data. I dislike that it is so different than most other Microsoft and other projects. It is difficult to upload data into the program from the get-go and from there it can be difficult to analyze the data unless it is absolutely formated correctly for Access. There needs to be an easier-to-use interface for customers and users. Microsoft Access is able to do so much and save so much time for a variety of user types; however, due to its difficulty in initial setup and use it's hard to get over that learning curve (especially for modern-day online software and people used to other programs). Because Microsoft Access is so different than a lot of other programs it is difficult to compare it to Microsoft / Esri products / etc. In this way, it stands alone, and for those who understand and have a lot of experience using Access it's a go-to. If you can have properly formatted data, Access can, and has for me, solved any number of zoning regulatory sorting, excel data interpretation from surveys and accessor data summations, and helped build in new fields to existing work-books to upload into ArcGIS. "a quick tool for create database rather than SQL and oracle ..."
access is a office tools that means it's compatible with other office solution specially MS Excel. it's very quicker than SQL and oracle. and very simple to use . not complex query system. you can in a few minutes create a simple form instead of using info path. in project managing Excel is most important software but some times when we have large data excel is not more responsible tools and we need a program likes access for create our data base. access is not enough powerful database tools specifically in server side. and publish for web and not compatible with share point and primavera. it's simple program for local work. if your work not complex or not related to server and web and you have a large data it's best database tools for your work you can also design a good form for data entry. we work in a mega project (urban project) with a lot of data. in different subject . that means excel is not enough for our work and we had to use a simple database program like access. it's handle our problem perfectly. "Acces para pequeñas BBDD? sí!" Access es el software incluido en la suite de Microsoft Office para ayudarte con la tarea de mantener almacenada tu información mediante tablas relacionadas. Lo primero que debes saber es que Access es de pago, es verdad, pero si lo comparamos con las alternativas similares de software libre, en esta ocasión la victoria es para el software propietario. Ya que no hay ninguna alternativa en software libre similar en cuanto a interfaz amigable que nos permita trabajar sin tener ni idea del lenguaje SQL. En Access sí podrás crear tablas, campos, rellenarlas con registros, crear relaciones, informes, vistas, consultas y reportes, todo sin haber "tirado" una sola línea en lenguaje SQL en tu vida. Tampoco le puedes pedir peras al olmo, Access esta pensado para bases de datos pequeñas, nada de las ingentes cantidades de Teras de información que manejan las grandes corporaciones. En este caso no nos quedará más remedio que descarta Acces y apostar por otra solución de pago. Es de pago, es verdad que si dominamos SQL podemos optar por otras alternativas gratuitas de licencia GPL como MySQL. En Acces no hay posibilidad de trabajar en línea ni se permite el trabajo colaborativo. En ocasiones, cuando estemos trabajando con varias tablas y queramos sacar informes que engloban resultados de varias de ellas, sí que podríamos necesitar saber algo de SQL porque con las herramientas que se encuentran en la GUI del programa podría no ser suficiente. Yo para cualquier otra aplicación de la suite de Microsoft Office he encontrado alternativas gratuitas y fiables con las que podemos hacer lo mismo... excepto para Acces. No soy capaz de adaptarme a ninguna otra, porque me encanta y me parece super sencillo de gestionar todo lo que conlleva una bbdd (informes, consultas, altas de registros, etc). En una pyme puedes usarlo para gestionar productos, proveedores, clientes, etc. Si no hay necesidad de almacenar muchos registros ni se requiere de muchas tablas, como ocurre con la contabilidad de mi emopresa, es suficiente. Pero yo pienso que en una gran empresa, habría que tirar por soluciones tipo Oracle, SQL SERVER también de microsoft y mucho más profesional. "Access is a data manager that collects information related to a particular issue or purpose." Access is graphical, so it takes full advantage of the graphical power of Windows, offering usual methods of accessing data and providing simple and direct methods of working with information. as the graphical user interface tool that are presented as forms. It is important to note that it facilitates the management of data, since its possibilities for consultation and connection help you quickly find the desired information, regardless of its format or storage location. With Access it is possible to produce sophisticated and effective forms and reports, as well as graphs and combinations of reports in a single document. Access allows a considerable increase in productivity through the use of attendees and macros. These allow you to easily automate many tasks without the need to program. As disadvantages we can observe some limitations such as the Finite capacity: the access databases are useful for small and medium companies or individual departments. Any sector whose use goes beyond 2 GB could observe the limitations in terms of storage space. Structured Query Language (SQL): SQL for MS Access is not as robust as MS SQL Server or Oracle, to name just a few. Critical transactions on time are difficult to manage: If you generate data that needs to be used or distributed immediately, access databases may not be the most appropriate for you. Think of Access as a long-term database for data mining and the analysis of various metrics. There could be security problems: If your database needs to be protected by extensive database security protocols, then Access may not be the best option. You can avoid this problem by using Access on the front-end of an SQL server, but not all companies have that level of infrastructure and still create sensitive data that must be protected. Multiple Windows operating systems could corrupt the database: It is possible that in the network there are several Windows operating systems on different computers that are used for different uses in your company. From a Windows 98 to the current Windows 10. When a database is shared with users of mixed operating systems, it is possible that the information that is being collected may be corrupted. A single file: All the information in your database is saved in a single file. This limits the options and how to choose to use the data. Slow down reports, queries and forms. Its performance becomes slow as the user scales the size of the data. Multimedia data can fill the MS Access space limit quickly. Limit of users: the technical limit of access databases is 255 users at the same time, but the actual limit is between 10 and 80 (depending on the type of application). There is still a learning curve that needs to be followed: Microsoft Access has a relatively poor relational design, which can make it difficult for some users to learn how to use or access database forms. The controls and forms can also be difficult to customize or adapt to certain needs and also, in general, you must have a basic knowledge of SQL programming language to have better chances of success. Use the product as it is included with the software and is an easy-to-use application where databases are generated in which the information is stored making the search for information easier and faster, which makes you efficient in the labor development. I am currently in control of the students and the sections with their respective qualifications through a system created by my person in access in the unit where I work. This helps me to automatically generate the averages and the definitive ones of the notes avoiding that they are committed errors, the benefits are greater speed, efficiency and effectiveness when establishing the final formats in addition to reduction of response time. "A database management system (DBMS) that combines a graphical interface and software development. " It has a database relationship system through which you can identify several elements of a database with several elements of another database, in addition to managing a graphical interface that allows generating forms without having knowledge of any programming language. specific. It stores data in its own format based on the Access Jet database engine. It can also import or link directly to data stored in other applications and databases. It is also capable of performing an object-oriented programming and for that use visual basic (VBA), so in some cases it is necessary to learn this programming language to generate the most powerful applications, in my case I do not use the programming in visual basic what is difficult for me to advance more in the applications that I generate, I recommend creating another interface where through a block diagram or symbols one can program more easily and this generates the necessary code in visual basic. Excellent database manager I would recommend it to my colleagues because it is efficient to organize the information, generate the search and be able to have the immediate information in an effective and efficient way. Through Access I generate applications for the control of notes of my students where I can total the final record in a database that I then export to study control so that they load it in the system of notes control of said institution, I also charge the photo of all the students in the student form and in this way I can know who I am placing the note since I have visual information about this because access allows uploading images associated with the databases. "A good way of creating basic level databases"
I like the simplicity of using MS Access. If I want to create a database for a bussiness, laboratory or to manage some kind of data, just have to create a simple file from a basic template. It is very easy to use, I may create the back end to manage the data and a front end to acces to that data without affecting concurrency. In addition, it is a very nice feature to be able to use Visual code to create more complicated features or events on the forms. I have the perception of this tool to be unstable. When more than one computer is using it, the database file may be corrupted and should be repaired, affecting the entire production line or operations. It would be great to have some kind of happy medium with the SQL databases using servers. If you want to create simple databases, MS Access is for you. In addition, you may use it with a common server and use front and back ends to avoid concurrency problems. If you want to use in web applications, maybe this software is not suitable for you. I have used this tool in two different situations. When I worked at a manufacturing plant, we used this software to manage production information. There were some parts that needed to be tracked down in order to find a possible failure in the production line. Also, in the laboratory where I'm working on, I use this tool to manage information about spare parts, personel, money handling and accounts. "Microsoft Access - Good Tool"
I love that multiple users can use the program and edit the same information from different places (just not at the same time) and how it can be integrated into Office Suite. Certain functionality appears to be inconsistent with other Office titles. Another thing I really love with Microsoft Access is the amount of leg room it gives you in configuring data. It's also capable of connecting to other software. Microsoft Access also gives you the freedom to craft your own database without worrying about spending huge amounts of money. It's really an all around great product. For the most part, it's directly database management. We are using Microsoft Access for an entire Departments annual report. The Department has 12 different divisions, all whose information is included in the annual report. This offers an easy way to house all of the information and run any reports if needed. "Great database management system for who is working with large amount of data"
For me the best side of Microsoft Access is the ability of creating search macros. It makes easy to find and organize needed data vey quickly and smoothly. At work most people is using excel as it is the only solution. But while searching big amount of data excell was not efficient and was freezing computer. After discovering Microsoft Access I watched a few tutorials and switched to Microsoft Access. Now most of my colleauges asm me to migrate their data to Microsoft Access. When creating search macros you should have a little programming knowledge and it makes new comers reluctant. But if they realize benefits of Microsoft Access I am sure they will switch to Access without doubt. If you are working with large amont of data Microsoft Access is definitely for you. At work I use Microsoft Access for managing Accounts receivables database. It saves my time and makes my work very easy. "Great for what it is desgined to do"
Great for storing large amounts of information and for running simple queries for reporting. Their form tool is really useful! I have been learning SQL and VBA. MS Access is one of the easiest platforms to use for quick database creation. Even if you aren't a very technical person it is very easy to use, is very user-friendly. One thing I wish MS Access could do is import some macros from Excel while importing the spreadsheet itself. MS Access does allow you to set up queries on the spreadsheet imported, but not as advanced as you could make it in Excel (such as automatic calculations). My team at work that uses our shared database is not large but we still come across issues of it not saving properly and crashing, causing us to load an older version with some missing information. If it the option of multiple users could be expanded to more users allowed, larger organizations could make big use of it. There are many tutorials online if you want to be more technical with use of Access, but it is very user-friendly, and the online support is always there if you run into any issues! Organization of information, and maintaining it by uploading external source data into it every week. We also run analysis on the data to see our company's growth. In the company it is required to continuously import and upload data to carry out the respective data analysis for decision making, and Access offers a user-friendly and pleasant option that imports it without difficulty. "Modernize＆Automate Microsoft Access｜Convert Excel to Database｜Web/Mobile (RemoteApp) 🆚 PowerApps/BI"
Microsoft Access is the industry leading desktop database creation tool for quick creation of relational SQL databases. It is an excellent tool for those not familiar with SQL - though add-ins, frameworks, templates & new Database Builder tools can help further simplify that, so truly don't need to learn SQL or VBA. As a developer having used Microsoft Access, Excel, SQL and other data platforms and database building tools daily, when implementing tools and databases for clients - with 15 years of experience in developing data and automation solutions (with C#, Access, Excel, SQL, VBA, VB,NET and wide range of data platforms) - I can say with confidence that MS Access is by far the easiest to use for rapid database creation and most empowering for non-technical users to client. I still continue to be impressed to this day by how innovative it is in enabling database creation by many who otherwise wouldn't be able to do so, and how it truly enables rapid database creation (hence why even SQL Server developers / DBAs use for prototyping). MS Access is great for Excel users looking to scale-up from maintaining and merging dozens of copies of workbooks each with dozens of worksheet tabs. Beyond that, even SQL pros use it for easily prototyping, as can easily upscale to SQL Server, Azure SQL or other hosted databases using various tools available. One of the key benefits of MS Access is that you can build, edit and maintain web/cloud/mobile-enabled multi-user databases entirely yourself, without requiring cost or hassle or involving IT or contracting consultants every time you want to make even the most minor change, as is the case for most subject matter experts (non-developers) for most other database solutions. With the deprecation of Access Web Apps (AWA), Access Web Databases and Access Services for SharePoint, Microsoft Access desktop databases are the most clear cut substitute, even offering more capabilities (VBA, Design View, etc.) compared to AWAs. Multi-user Access Databases are easiest to build and create, and are arguably even easier and more intuitive to work with, and far less limited compared to Common Data Services, as well as easiest to scale up to SQL Server or Azure SQL Database later if needed. With RemoteApp – a specialized form of Remote Desktop (RDP) / Terminal Services – you can stream a full-featured Access desktop window straight to mobile device, full-screen, without dealing with desktop, app launching, taskbar, etc.. This scales very well, allowing even hundreds of simultaneous users all from hosting on a single Windows Server or (using an extension for Access to help configure) even from any single Windows desktop PC, allowing connection from iPad, iPhone, Android, Tablets, Macs, Windows PCs and Web Browsers. Using Access extensions, you can even simplify and enable user authentication with user view/edit permissions, edit tracking/rollback, via password, authorized devices or Active Directory. However, Microsoft Access hasn't evolved much in recent years, and VBA coding can be tedious, especially with it's VBA IDE/editor (VBE), based on a much older version of Visual Studio. As a developer who's built and improved many different Access databases, reporting & import/export/sync automation solutions, and Excel-to-Access database migrations, I've faced a number of Excel workbooks which perform auto-calculation (of investments, projections, forecasting, tax credits, etc.) which couldn't be converted due to business requirements, which require use of truly iterative (complex recursive or circular calculation, where row's field values are based on previous row's values, and which can't be distilled down into a subquery, etc. ), which isn't possible out-of-box (without extensions like PowerSQL or PowerAccess) with Access SQL Queries. For example, PowerAccess for Microsoft Access (https://poweraccess.net) is an install-free framework & template, with an optional add-in providing new productivity, automation and development tools, like for Automated Database Builder tools, Global Find & Replace, Cloud Sync, Multi-User Web/Cloud Deploy Setup, and integrated simplified Git source version control to enable collaborative editing of database forms, VBA code and other objects. Also, RubberDuck VBA (http://rubberduckvba.com) helps with VBA macro coding productivity to extend the VBE (the integrated VBA Code/Macro IDE Editor, basically very old version of Visual Studio) with some newer, more modern tools for coding productivity. There are other add-ins and templates that can drastically simplify and automate use of Microsoft Access, addressing its stagnated development, but those are some of the ones I've found make the biggest difference in modernizing, automating and simplifying daily use of Microsoft Access, SQL and VBA. Though there haven't been too many new features in Microsoft Access in recent years, new data connectors and other features have been released since Microsoft Access 2016 was released, and it's now included in most Microsoft Office 365 subscriptions and Office 2016 editions, with new features coming down the pipeline. I would recommend multi-user Microsoft Access databases + RemoteApp as all around better alternative to PowerApps - more full-featured, with VBA and user-defined function support, extensibility, without need for using separate products (like Microsoft Flow and Common Data Service) to supplement PowerApps lacking features. Access + RemoteApp (scalable, app window only remote desktoping) can even be used with hundreds of simultaneous users from Mobile (iPad, iPhone, Android, Tablet), Mac, Web Browsers as well as Windows PCs without ever even showing a desktop or need to launch an app, simulating a native mobile/web app. This can be hosted from a single Windows Server, or Azure, or Windows desktop PC (as enabled via Access extensions). Microsoft Access can also be used for multi-user databases for hundreds of simultaneous users via RemoteApp with excellent performance even over cellular .data connections, and which can host from any Windows Server (or any Windows PC, such as with an Access extension help setup configuration of that). If you find Microsoft Access somewhat lacking in modern tools and automation, you could use together with add-ins or Access Framework extensions to modernize, extend and automate, while retaining the control and ease of use that Microsoft Access provides. If that doesn't work for your needs, then Power BI (which can use Microsoft Access database as a backend) may often be a better alternative to PowerApps - sharing similar Mobile/Web/SharePoint/Embedded use support - if you don't need data entry/editing. Even if you do need data entry/editing, you can use Access (with easy form building) for that (as well as for multi-user viewing/reporting) and Power BI for BI Dashboards and web/mobile use/viewing. If you need web and mobile data entry, and want to be able to easily design and edit the database yourself (without IT, developers or contractors) for a truly no-code solution, then you may want to consider using Power BI front-end (eg. for BI Dashboard) + Microsoft Access database backend (such as via On-premises Data Gateway). Microsoft Power BI is a similar, and overlapping in some ways alternative to PowerApps, if you don't need data entry / editing support. It even is excellent at building interactive, drill-down dashboards with custom sort and filtering (though these can also be done in Access). Even though Power BI and PowerApps share the same On-premesis Data Gateway (allowing access to files, data, etc. on the PC it's installed in by the Power BI/PowerApps server), for some reason, PowerApps doesn't allow connections to Access Databases through it, like Power BI does. Whether you are a Microsoft Access guru and just want to save time with rapid database development & minimizing boilerplate VBA coding or are new to Access and databases, get started using MS Access together with PowerAccess, PowerSQL, PowerGit & RubberDuck VBA to streamline and simplify database creation and migrating Excel workbooks to web/cloud/mobile-enabled multi-user databases each don't require consultants or IT to build, edit, or maintain. Microsoft Access is far more intuitive, easier to use and automate, easier to prototype with and deploy, for pros and novices alike. This is especially the case when using Microsoft Access together with the powerful add-ins templates, and install-free extensions available for it, such as PowerAccess, PowerSQL, PowerGit and RubberDuck VBA. MS Access, combined with those extensions, has drastically simplified multi-user collaborative editing, creation, use of automated of multi-user web/cloud/mobile-enabled databases for us and our clients for Ad-Hoc Analysis. Business Intelligence (BI) dashboards, Estimates/Quotes, CRM, Project Planning tools, Financial Analysis & Planning (FP&A) & Accounting tools, Automated Reporting, and many other types of projects it's best suited for handling. Migrating massive Excel workbooks - with dozens or hundreds of difficult and time-consuming to maintain sheets, one for each project or report, with manual merging of copy for each user - to scalable, high-performance relational multi-user databases. This enabled use beyond Windows PC for us, scaling up to hundreds of simultaneous users from web browser, mobile devices, Mac, iPhone, iPad, Android, tablet and other devices - all without relying on deprecated Access Web Apps (AWAs) which it can be auto convert to Cloud/Web/Mobile-enabled full-featured Access Database which, unlike an AWA or PowerApps, even support powerful VBA scripting and use for interactivity and automation. I've helped clients migrate Excel workbooks migrate to Access databases when facing massive workbooks with (dozens or even a hundred sheets) many tedious, error-prone, manual copy-paste-edit processes involving merging many copies of it and a headache with having to repeat edits to complex formulas spread out across dozens of rows across dozens of tabs across dozens of workbook copies. "The Microsft Access is one of the good program to save datas!" Access is a program that you can save a lot of information from the company or not and after that you can check these informations, you can save types of access of each user at Alcoa. Things that i do not like in this program is when you open the database you can change all the datas, with that become difficult to have security in the datas compromising all the organization. I recommend in part Microsoft Access, because people that use this program need a specific training and knowledgements in the area. With the program become easy to take datas from reports and save them. You also can use these datas to make a comparasion with old datas from the past. "El mejor software para creación de bases de datos con modo gráfico incluido"
Me gusta que pueda controlar los datos más de cerca que los datos que están dentro de Excel. Descubrí que crear macros para realizar varias tareas al mismo tiempo es bastante fácil y es extremadamente útil para mejorar la eficiencia. Además, la capacidad de utilizar Access para invocar datos de SQL y otras bases de datos facilita el trabajo. A medida que las tablas de datos se vuelven enormes, lleva tiempo recuperar datos. Algunas de las consultas pueden tardar mucho tiempo en ejecutarse. Tómese el tiempo para aprender, y esta puede ser una herramienta muy valiosa. Existen numerosos recursos disponibles, tanto gratuitos como de otro tipo, que pueden hacer que esto sea mucho más efectivo para personas o empresas. Estamos utilizando Access para albergar múltiples conjuntos de datos relacionados con el fin de consultar datos entre los conjuntos y extraer información relevante. "Microsoft access is used throughout the organization for the capture , management, communication "
It is an easy-to-use program compatible with the most popular databases in the world, therefore, it does not require expenses in training activities or the hiring of highly specialized personnel, saving money. Thanks to the implementation of Microsoft Access, it has been possible to optimize a series of processes that have favored the production and profitability of the company. It is a program compatible with the other Microsoft Office programs, being an excellent advantage considering that these are the most used programs in the world. It supports widely used programs that are not necessarily from Microsoft such as Oracle and Sybase. You have the possibility of placing the information processed in the databases online. Microsoft access does not adapt well in organizations that require the management of large information contents or where many variables must be included, or large companies that require the continuous management of results. I believe that they can expand the option of the amount of user allowed so that large organizations can use it. Microsoft access is not the best database tool for immediate use but for long-term work. Among the tools that can hinder its use are that access has a relatively poor design compared to other programs. It is difficult to customize and adapt the controls and forms at the start. In the company it is required to continuously import data to carry out the respective data analysis for decision making, and access offers a user-friendly and pleasant option that imports it without difficulty. The problems solved are basically based on organization of information, standardization of information for the analysis of data necessary for decision making to facilitate the growth and development of the company.The systematization of the information in access databases has prevented duplication of information, therefore, we have had the possibility of planning with real results and not assumptions of results that we threw tools such as excel. The consolidation of the information provides us with data for the analysis of results, consequently identifying the problems that we later wish to correct and in this way avoiding the loss of time and personnel expenses. The grouping of data in an organized manner allowed the company to design a set of real strategies aimed at improving the profitability of the company. To date, the results have been positive because since access was implemented, the profit of the company has improved. Microsoft Access adapts well in departments where databases do not have much content, or where you do not have to perform complex programming or require working with many variables. It is a program that has all the work tools required by the organization to function properly and fulfill the tasks envisaged.
" microsoft access database manager"
does not allow a massive storage of information reason why a basic database manager does it for projects that handle little information. "Great tool when you utilize it completely"
Data integrity is key for us. I like that you can control the data elements more closely than data that is within Excel. I have found that creating macros to perform several tasks simultaneously is quite easy and is extremely helpful in improving efficiency. Additionally, the ability to use Access to summon data from SQL and other databases makes work easier. The biggest complaint that I have is the 2GB file maximum. There are numerous situations where I have millions of rows of data and am unable to house it all in a single database. This causes significant inefficiencies. Access has some quirks with it regarding speed of processing. There are times when a query will run almost instantly and other times when the same query will take several minutes. I realize other software running on the computer can impact load times but I generally always have the same things running. If you work with data that is less than a few million rows, Access will work great for you. If you have more than that, consider using Access as a front-end for a SQL server. We are using Access to house multiple related data sets in order to query data between the sets and pull out relevant information. This format is much better than using Excel and the benefit is that the data can be easily extracted to other formats.
" Data Storage / Data Retrieval and data integration made easy"
One of the simplest and easiest tools to store and retrieve data. Makes data entry easy and fast. Also, basic knowledge about Querying, Forms, Reports should help small and mid size organizations (which do not handle huge amount of data or complicated data) make the best use of Microsoft Access. Provides easy ways to export data to Excel spreadsheets as well - so users can independently analyze data in Excel as well. As data tables become huge, then it takes time for data retrieval. Some of the Queries could take a long time to run (even hours). Highly recommend small and mid size businesses to start off with Microsoft Access for data entry, reporting, creating forms, querying,etc. Requires very basic knowledge which one can find through training manuals online. Microsoft Access makes day to day data entry easier across various departments. It also provides easy ways to write queries in order to retrieve relevant data for business needs. It is used across all departments where data entry is mandatory. Also, provides analysts quick and effective way to get information in a short span of time. I like the versatility and ease of use. At first, I had no idea what I was doing; even tutorials can be long, but with any new tool and skill, it takes a lot of learning and practice. Microsoft Access is DEFINITELY a difficult software. It's also a little expensive, but thankfully, I already had it downloaded from my dad's computer. They could do better to offer simplified tutorials to guide you through basics. Definitely a much more user-friendly tutorial feature. Spend your time researching the concepts and learn them well! Work through Access slowly and use it for something that matters to you! It means more than going through pre-prepared files and cases. Think of an app you could create or think of a problem you could use it for. Whether you're planning a vacation, or using it for school, etc. We created an app in the class. It's crazy how you can organize your ideas with access. However, realize it's a tool; it's meant to be used by someone who knows what they're really doing. "good software to implement a good database is access"
"Un gestor de base de datos básico"
Las bases de datos access funcionan muy bien con muchos de los programas para desarrollo de software basados en Windows. También se pueden utilizar sus tablas en productos tales como Microsoft SQL Server y en otros no basados en Microsoft tales como Oracle y Sybase. También también una buena opción para los usuarios que tengan la intención de desarrollar software utilizando .NET ya que Ms Access y .NEt se pueden vincular. Además, la interfaz gráfica de usuario de MS Access también puede ofrecer fácil funcionalidad y posibilidades de configuración. Tiene limitaciones de número de usuarios con conexión simultánea, cuando se tiene necesidad de usuarios remotos, se le puede dar control total y funcionalidad a una base de datos access de modo que el teletrabajo pueda convertirse en una opción viable para los administradores de bases de datos. Las bases de datos access son útiles para pequeñas y medianas empresas o departamentos individuales. Cualquier sector cuyo uso vaya más allá de las 2 GB tropezará con una pared y descubrirá las limitaciones. SQL para MS Access no es tan robusto como MS SQL Server u Oracle, por nombrar sólo unos pocos. Podría haber problemas de seguridad: Si tu base de datos necesita ser protegida por extensos protocolos de seguridad de base de datos, entonce Access puede que no sea la mejor opción. Puedes evitar este problema mediante el uso de Access en el front-end de un servidor SQL, pero no todas las empresas tienen ese nivel de infraestructura y todavía crean datos sensibles que deben protegerse. Sería más satisfactorio de usar e implementar si abre un poco más de espacio para guardar las bases de datos, que podrían almacenar más información, tener un poco más de capacidad para almacenar información y estar un poco más seguro con el uso de este software. Además, todo sería una buena opción que podría agregar más seguridad antes de la edición, ya que las bases de datos que comparten los usuarios serán más duraderas y más precisas. Si se implementara todo esto, el software tomaría más valor comercial del mercado mundial.
" simple and useful database manager"
it is very easy to install and use, Microsoft Access is the most popular desktop database system in the world so access databases can be understood by most database users., easy to integrate, Microsoft Access makes it very easy to import data. In addition, access databases work very well with many of the programs for Windows-based software development. 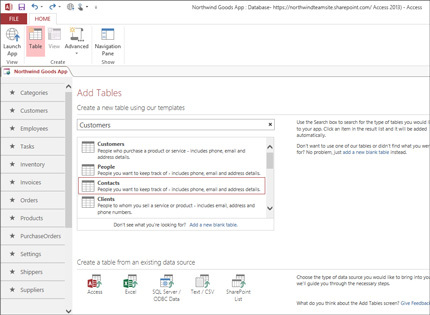 You can also use your tables in products such as Microsoft SQL Server and in others not based on Microsoft such as Oracle and Sybase. Access databases are useful for small and medium-sized companies or individual departments. Any sector whose use goes beyond 2 GB will trip over a wall and discover the limitations. Another disadvantage is that it provides very little security for the data that is saved. All the information in your database is saved in a single file, this limits the options and how to choose to use the data. Slow down reports, queries and forms. Its performance is becoming slow as the user scales the size of the data.